When it comes to delicious crave-worthy foods, I’m a hoover and Jared is a hoarder. Jared saves his favorite foods for when he really really wants them. I admire this in some ways, except that he tends to save them for so long they’re no longer edible by the time he decides to indulge. I’ve tossed out countless cupcakes or cookies that have gone bad while Jared was waiting for the perfect moment to eat them. If he’s not going to eat it before it sprouts eyes and a mohawk, he should at least release his dibs, right? His hoarding tortures me! Though I will admit his patience comes in awfully handy as the husband to, well, me. I grew up in a home with three hungry boys and when our mom went grocery shopping, we all immediately raided the refrigerator, battling it out for our favorite snacks. If you wanted that breakfast strudel, you grabbed it before it was gone; there were no guarantees it would still be waiting for you in the morning. Apparently, this is still engrained in my brain. If something is delicious, I eat it all as soon as possible. 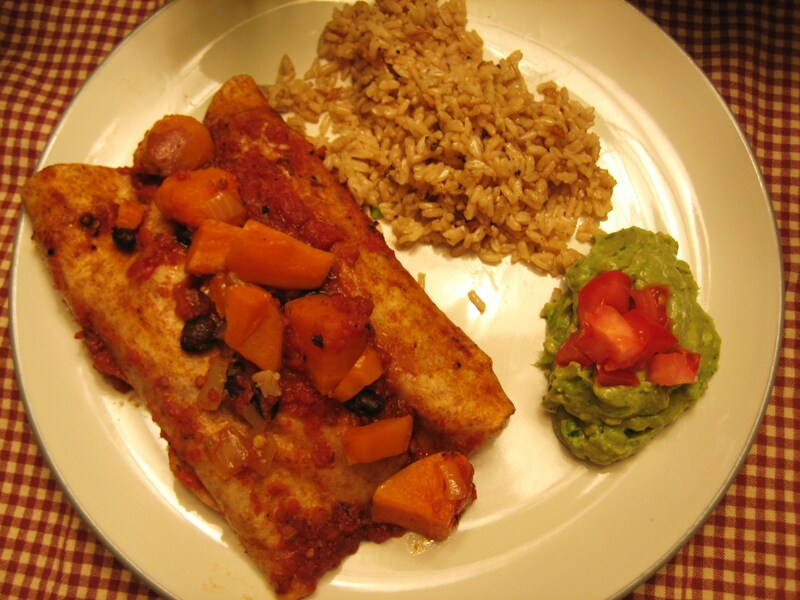 Monday night I made these Sweet Potato & Black Bean Enchiladas for dinner. They were so good, I woke up the next morning thinking of them. So of course, instead of waiting for lunch or dinner, I ate the rest first thing in the morning (saving two for Mr. Patient’s dinner). I couldn’t help it! Though the picture isn’t the greatest, these enchiladas are out of this world. The sweet and spicy homemade enchilada sauce with just a hint of cinnamon is like a warm hug wrapped around the always delicious combination of black beans and sweet potatoes. These are definitely going to become a go-to meal around here. Bring water in a medium sauce pan to a boil and boil chopped sweet potatoes for five minutes, or until the potatoes are just barely fork tender. Drain. While the potatoes are boiling, heat about 1 T. of olive oil on medium heat in a large saute pan. Add onions, bell pepper, and salt and cook until onions are translucent. Turn off heat and gently toss in the sweet potatoes and black beans. In a blender or food processor, mix all of the sauce ingredients until the tomatoes are pureed and the spices are all blended. Coat an 8×10 baking dish with 1 T. of olive oil, then ladle in a little enchilada sauce to lightly cover the bottom of the dish. Dip each tortilla into the enchilada sauce coating both sides. Add sweet potato filling and roll tightly into a tube. Place in the baking dish, seam side down. Repeat until all the tortillas and filling are used, packing the enchiladas into the dish side by side. Pour the rest of the sauce over the top. Serve with Spanish rice (add a sprinkle of taco seasoning in with your rice while it’s cooking for a really quick & easy version) and avocado slices or guacamole. Thanks girl! 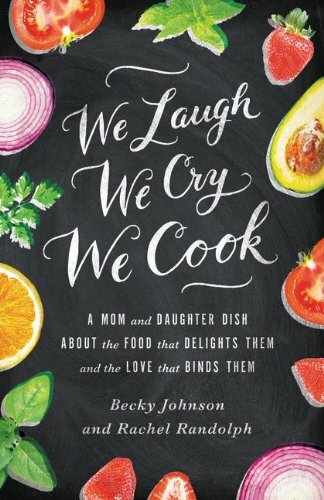 I just spent some time browsing the recipes on your blog. So much deliciousness!